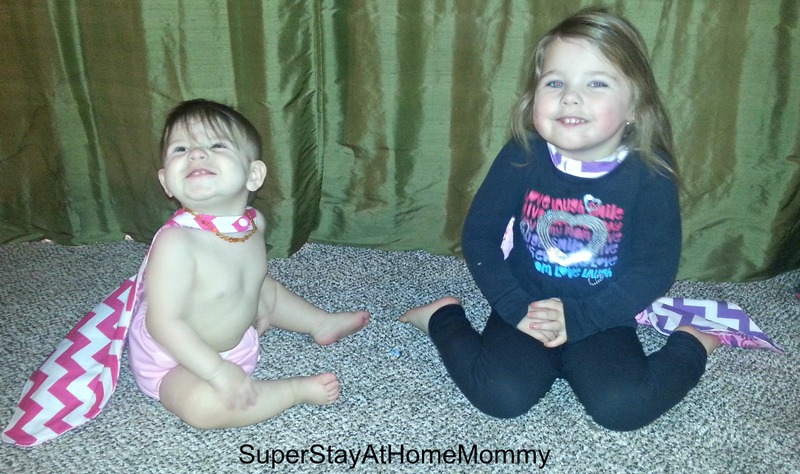 Kids Clothes Week- Day 3 | Super Stay At Home Mommy! 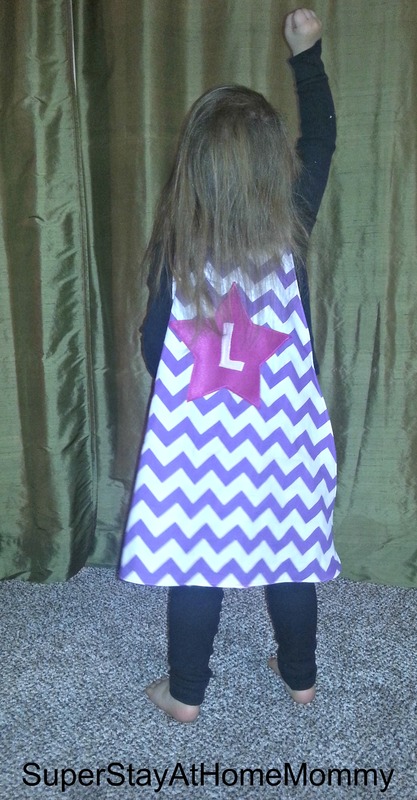 For the last few weeks, Linnaea has been obsessed with pretending to be a super hero. She grabs her blankie, tucks it into the collar of her shirt, and is off the save the day! 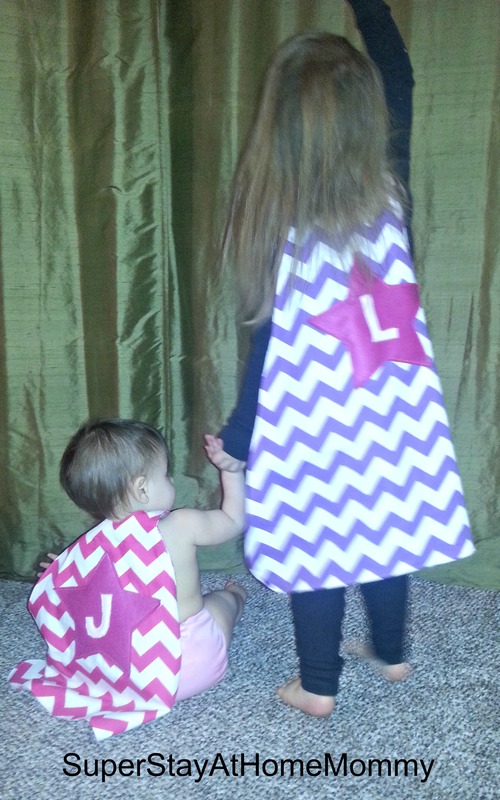 Obviously, a super hero’s cape is an extremely important part of their wardrobe. So, mommy just HAD to make her a special one! And once Linnaea found out that I was making one for her, she insisted that little sister get one too. Here’s our super heroes in action! 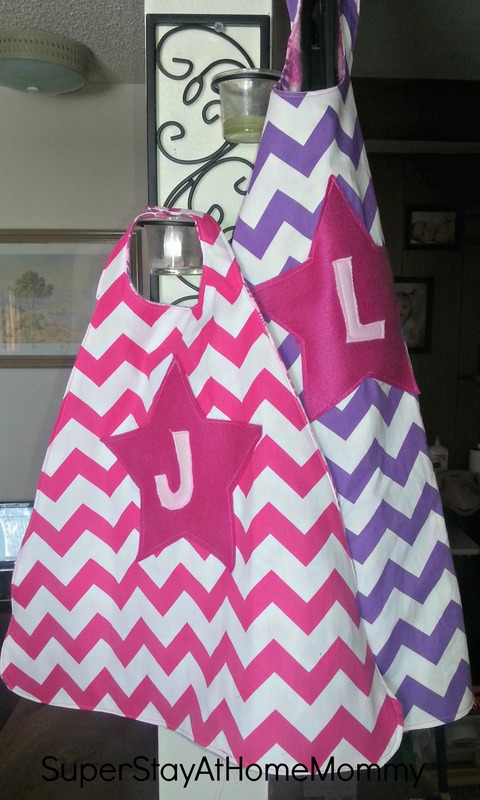 Did you know that Super Hero capes can make you run faster and jump higher?